Welcome to RON J BAKER & CO we are an asphalt and bitumen paving company based in Fremantle and servicing most parts of the Perth metropolitan area RON J BAKER & CO has a reputation of excellence in the asphalt and bitumen industry that has been built up over the 50 years that we have been providing our asphalt and bitumen paving service to the Perth area. When you contract RON J BAKER & CO to work for you laying down asphalt and bitumen paving what you are getting is 50 years of experience servicing the Defence and other Government departments and bitumen paving industry at no extra charge. 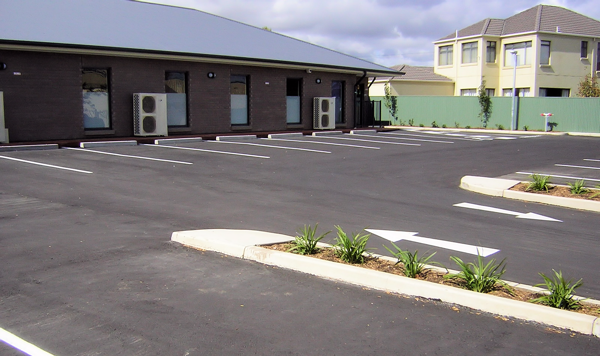 We have a staff of experienced skilled tradesman that can handle the largest commercial asphalt and bitumen construction project throughout the Perth metro area. We pride ourselves on our 50 years of experience and our attention to detail that results in a superior finish on your asphalt and bitumen job.